Hand stitched Gold and Silver Bullion Wire Embroidered Cushion Covers. 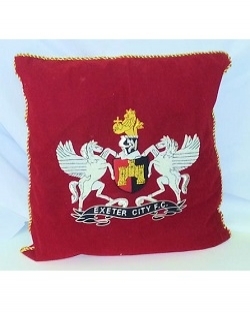 We can embroider any crest you require. Please specify the required crest in the options section below. Please note there will be a 6-8 week wait for all cushion covers.